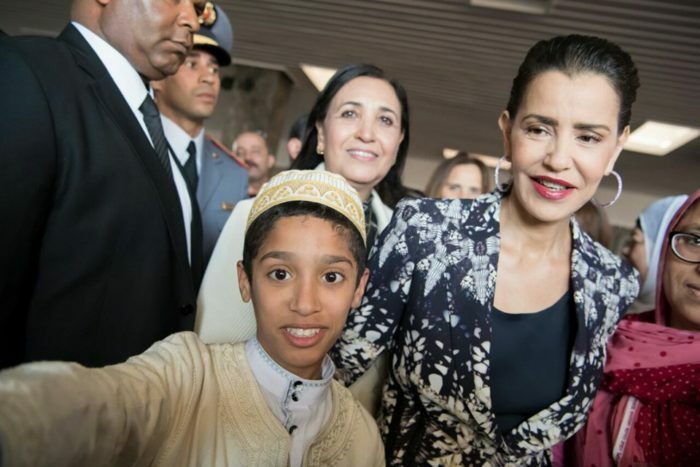 Rabat - On Wednesday, Princess Lalla Meryem chaired the closing ceremony of the meeting organized by the national union of Morocco's women and the national observatory for children’s rights at the Mohammed V National Theatre in Rabat. 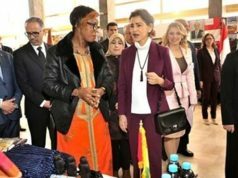 Rabat – On Wednesday, Princess Lalla Meryem chaired the closing ceremony of the meeting organized by the national union of Morocco’s women and the national observatory for children’s rights at the Mohammed V National Theatre in Rabat. During the closing ceremony, the National Coordinator of the National Initiative for Human Development (INDH), governor Nadira El Guermai, gave a presentation in which she explained that precariousness, ranked according to gender, age and living conditions, could be defined as a situation of social exclusion and marginalization caused by deprivation of economic and social rights. El Guermai added that, in order to combat precariousness, Morocco has launched several programs to support affected social segments, promote their lifestyle, facilitate their integration and protect them against delinquency. The governor reviewed the INDH experience and achievements since its establishment 2005 and which includes a specific anti-precariousness program that benefited a large population, noting that despite all these efforts, there is still a growing need due to social mutations. She also called for pooling efforts to reach an optimal coordination as part of convergence and good governance. Head of high planning commission Ahmed Lahlimi Alami outlined, in a presentation on the state of precariousness, the progress made by Morocco in this anti-precariousness fight field, adding that the Kingdom succeeded in reducing the scope of the phenomenon of poverty and precariousness in the rural and urban zones. After screening an advert on “child brides,” Amina Oufroukhi, a magistrate and official at the public prosecutor’s office, said that this phenomenon deprives young girls from their right to have a decent life, insisting on the pressing need to change the mindset and raise awareness about the fact that the school is the natural place for young girls to evolve. Mohamed Hourani, member of the economic, social and environmental council, presented a roadmap on the fight against precariousness based on four outlines namely knowledge, governance, law policy and policy elaboration, stressing that this roadmap seeks to lay the bases for new alternatives to reinforce the prevention against precariousness mainly regarding digitization, green economy, circular economy and renewable energy. At the end of this ceremony, the Princess posed for a souvenir photo with children representing several associations. 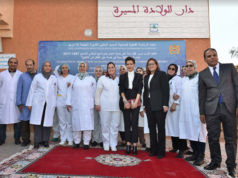 Princess Lalla Meryem has been involved in the fight for the promotion of the conditions of women and children for the past 30 years through the chairmanship of the national union of Morocco’s women and the national observatory for children’s rights. The Princess is leading, through these two institutions, several initiatives aimed at rendering justice to women and children and helping them enjoy full citizenship. 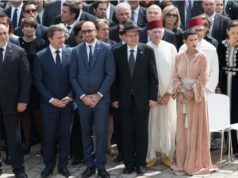 Upon her arrival at the Mohammed V National Theatre, Princess Lalla Meryem reviewed a detachment of the auxiliary forces that paid the honours and was greeted mainly by justice minister Mohamed Aujjar, national education minister Saïd Amzazi, state secretary for handicraft and social economy Jamila El Moussali, head of the high planning commission Ahmed Lahlimi Alami, and Chief of public prosecutor’s office Mohamed Abdennabaoui.